The Brigade That Builds Brands is featuring artist & jewellery designer and Army wife Pooja Ganapathy Kapur this week. If you ever thought that passion for something cannot be turned into a career, especially while being on the move, then you've gotta read what Pooja has to say. I hope that this interview, like all the others, will give you enough inspiration to create a brand/project of your own. Being a #militaryspouse can mean frequent postings, lots of social commitments, lack of basic facilities like a good internet connection & more; but if you have the will and the gumption to do something, you can be an entrepreneur from wherever you are posted. So, go on and enjoy Pooja's interview. P. 41 years on this earth, mother of 2 boys, 18 and 14 year's old respectively. Married into the olive green for 20 years. Based at Bangalore currently. Belong to a beautiful hill station called Kodagu /Coorg. An artist by profession, a jewellery designer by passion, a dreamer, believe in being positive and nothing is impossible if you set your heart and mind into it. In the past I have owned a playschool, a boutique, dabbled in the teaching field, owned an online clothing line and was the brand ambassador for Armed Forces for hotel Marriott. P. Art is my passion, to create and fill in an empty canvas with colours, giving flight to my imagination is my madness. Plunged into the art world in 2011 with my solo debut art show under the guidance of a well known art curator from Hyderabad. Had the privilege to showcase my art works at various national and couple of international platforms. Had taken a sabbatical for few year's as my family needed my time and pursuing other interests of mine. This sabbatical opened up new horizons for me and there's no looking back ever since. 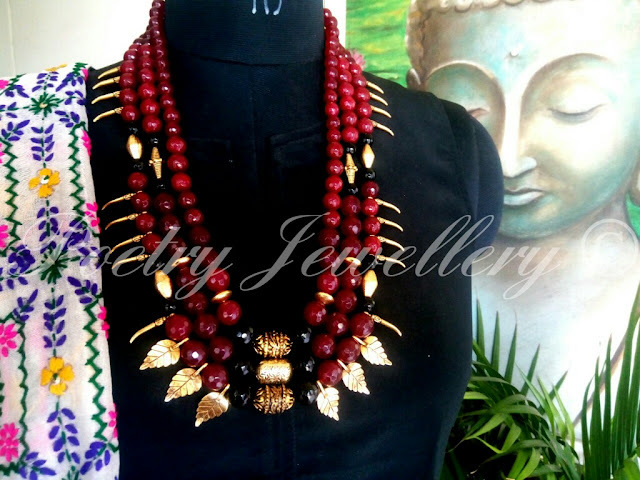 "Poetry Jewellery " was born in 2013. This venture was not planned, it happened by accident. 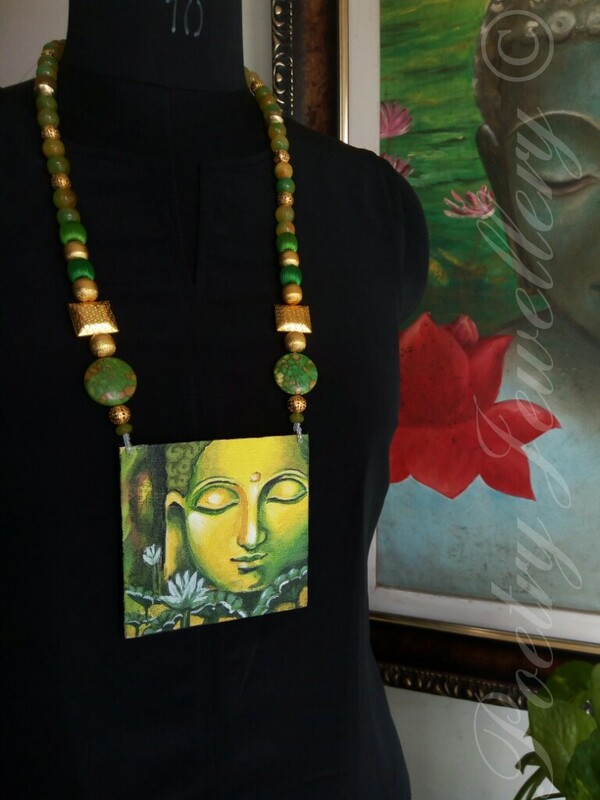 A small experiment, painting Buddha on miniature canvas boards and converting them into statement neckpieces to be gifted to few of my close friends. It was appreciated by them, their friends and colleagues for its uniqueness and concept . By the time I realized what was happening, I was customizing pieces for many who contacted me through word of mouth and like they say "rest is history".5 successful year's down the line , created over 1500 pieces so far, even for some famous designer brands/stores, individual clientele from various walks of life across the globe and for corporate gifting purposes as well. P. True what you have said here Chandana. Fauji wives lives are just like the way a fish takes to water; we adapt into any environment thrown at us.These challenges that come our way being married into the defence services is what makes us stronger by nature, resilient, adaptability becomes our second skin , gives us various opportunities/situations that we accept as a challenge with a smile and make it work for the better,for us and the organization. Being from the creative field and working from home for over 8 years has given me my space to work as per my terms and conditions. Working hours are decided on my terms; building brand and finding new avenues in a new place is exciting and you as an individual are your own brand ambassador. 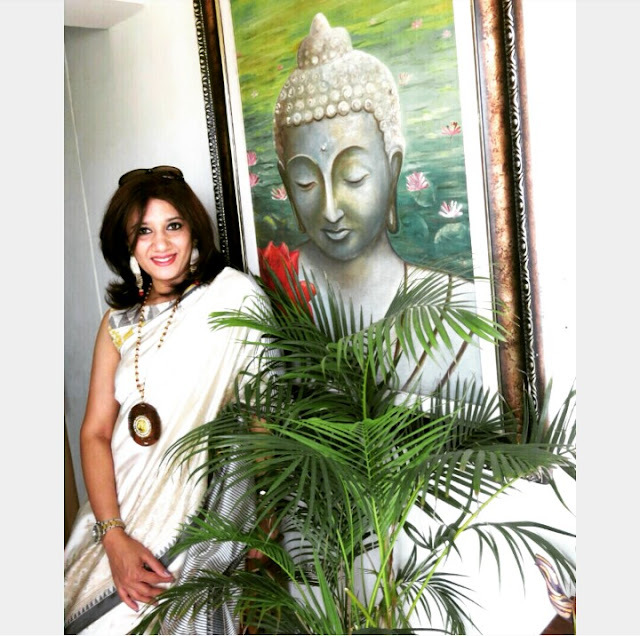 To be aware about your responsibilities and giving importance to your passion has helped me juggle my home front, work and various other responsibilities that comes being a fauji wife with ease and satisfaction. P. I would say having a positive attitude towards this life I live as a fauji wife. There are times when we do face certain situations and challenges, the key is to have your priorities right as each phase, place ,people and situations are different. Be open minded and don't expect anything in return. I give importance to my role as a fauji wife by not neglecting the responsibilities that one needs to abide, likewise not forgetting that my personal life too needs my time as much as my role as a fauji wife . 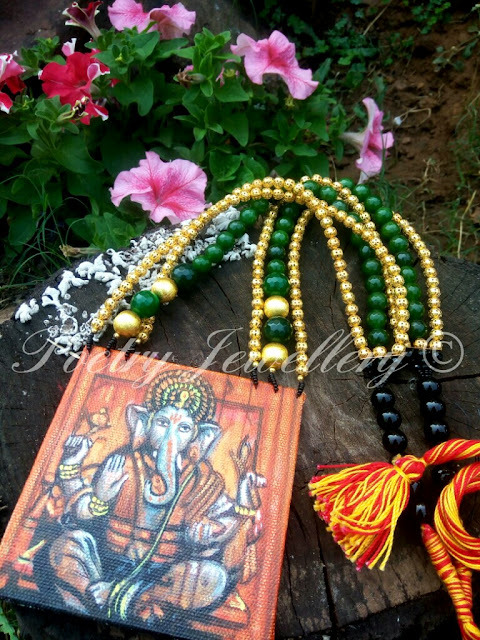 P. With my online jewellery and clothing business, stability that the e- media (watsapp, phone calls,etc) , social media like facebook and instagram ,a good reliable courier service has been the key. I have made maximum use of these aspects towards the success of my business. There are few hitches involved especially when it's time to pack, move and settle down in the new place. Couple of challenges I have faced are time frame involved in bouncing back to work and the work flow to pick up momentum, which takes couple of weeks. With experience now, I do some homework in advance for the few months that's going to be in non working mode by planning new designs in advance, presentation , scouting for new raw materials , local vendors, new avenues, new collaborations and a reliable courier service around. It's very important to keep your brand expectations flying high with your clients and admirers once you re-open your online store . P. This community of ours has been a blessing to me. The kind of support and enthusiasm that I have received from many, many people from this organization is commendable. 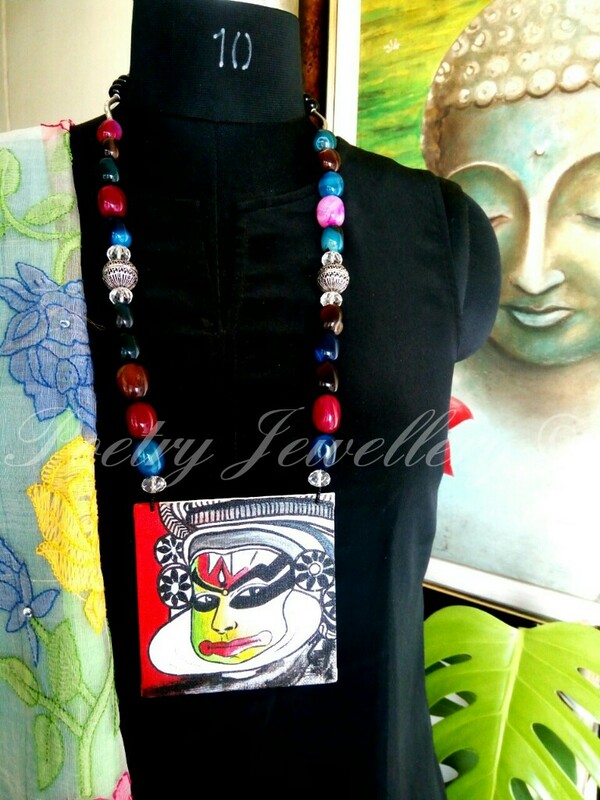 It has helped me to strive to give the best I have in me, be it my art work, clothing line or jewellery creations. They have been an integral part of my success with their encouragement, support and love . I owe a lot to this fabulous community of ours. P. Have been lucky enough that I didn't face major challenges balancing work and being a fauji wife. It's all about time management and planning skillfully in advance to avoid any confusion and stress. 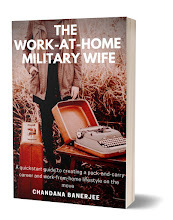 C. What tips would you give to fauji wives out there who’d like to pursue their dreams while living at small and busy bases (many still believe or are led to believe that you can either be a fauji wife or a professional, and that’s not true)? P. The only advice I can share with everyone is that believe in yourself and your capabilities. Each person is unique and has something special in them. Stir your soul to find that passion. Stop comparing yourself to others. Have a positive attitude towards self and life. Dare to dream and make that dream a reality no matter where you are and in what situation you may be in. There are opportunities at every place and stage of one's life. You just need to tap it and make it work for you. Because if you set your heart and soul towards what you love, it's a success in making already. P. Believing in myself ,the potential and passion to create,being humble and always strive to create better and better every single time .These accepts will take you a long way. I dare to dream and I leave no stone unturned to make that dream a success through hard work, belief and dedication . 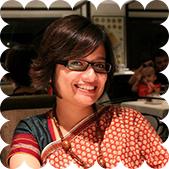 Thank you Pooja, for joining us here! More #Military spouse/ fauji wife inspiration here. 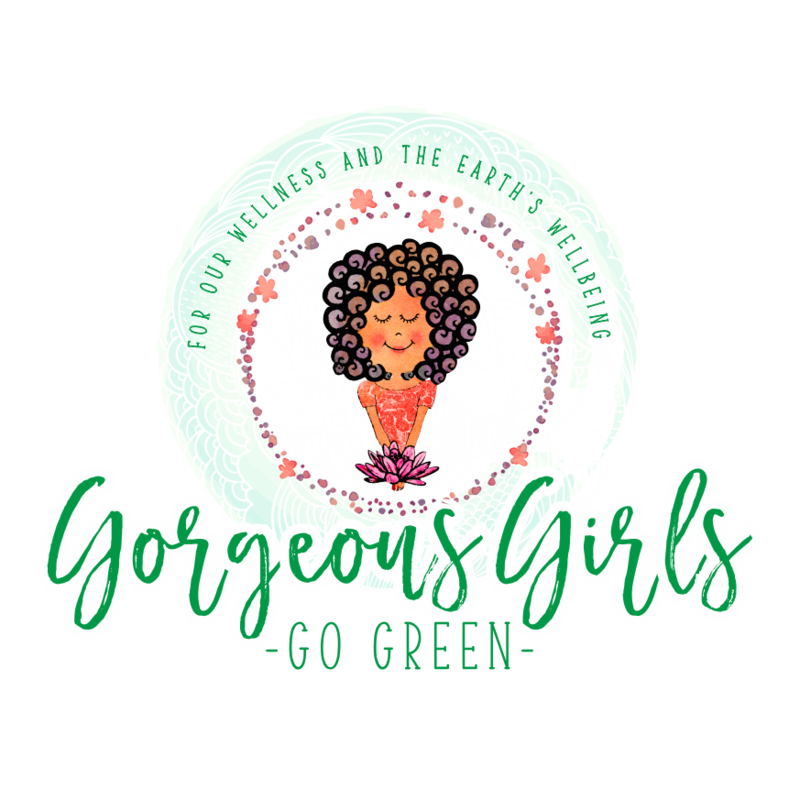 If you're a fauji wife / #militaryspouse (in India or across the world), who moves around the country with her husband and runs a venture/project from home (it should have been running for at least 1+ year), then write to us to be featured here. 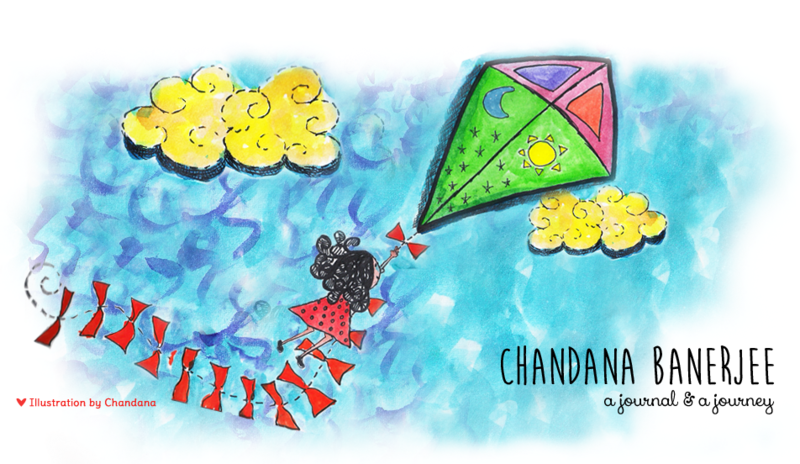 My email: chandanabanerjeewrites@gmail.com . Thank you so much Chandana for this wonderful coverage. It was a pleasure to have shared my thoughts with you and others through your fabulous blog.